Posted on February 27, 2018. Latest News. Please extend a warm welcome to Anna Skeels, our new senior executive search consultant based in Melbourne, who’ll be helping us to expand our executive and board level recruitment services in Victoria, Tasmania and South Australia. Anna has over 20 years’ international recruitment experience having worked for leading brands such as Talent2 and Michael Page, and most recently as a senior executive search consultant with McArthur in Melbourne. She will be working closely with NFP organisations to source leaders with the right skills and cultural fit, at both CEO and board level, to ensure long term success. “We welcome Anna to the team and look forward to introducing her to our extensive networks of c-suite executives and sector board members,” says Richard Green, Director, NGO Recruitment. “Now more than ever, strong leadership and good governance are the most important organisational elements to get right within not-for-profit organisations. Anna is a great researcher with a wealth of both commercial and not-for-profit executive recruitment experience and we’re lucky to have her on board,” he says. Originally from the UK, Anna has recruited in London, Sydney and Melbourne placing candidates across corporate services, executive, CEO and non-executive director roles. She has also served on several boards including president of Women in Finance in Melbourne and as an ordinary member for Saltwater Kids. She also supports youth and women’s sports and is a dedicated fundraiser for Amazing Alice, a UK-based youth organisation. “Having the right leaders who are able to apply sound commercial and governance principals from the top down enables NFPs to improve revenue generation and ultimately leads to better program delivery,” says Anna. 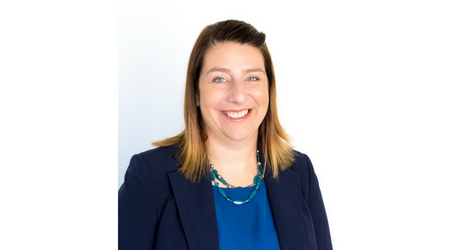 “I am thrilled to be able to bring my commercial and NFP recruitment skills to this role and am looking forward to working closely with senior executives across the sector,” she adds.